The Ohio State University Sexuality Studies Program is an interdisciplinary program that examines sexual practices, identities, meanings and representations through an array of humanistic, social science, legal and artistic approaches. The program pays particular attention to considering how certain sexual behaviors and identities are privileged and others devalued in specific contexts. The field also investigates how sexuality is shaped by other social differences such as race, gender, class, dis/ability, religion and nationality. 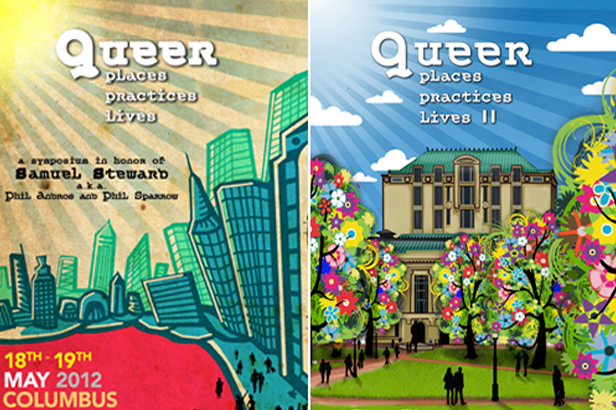 In 2012 and 2014, the Sexuality Studies Program, along with numerous co-sponsors from across campus, hosted two queer studies conferences featuring presentations by scholars, students, activists and filmmakers. These conferences were supported by Samuel Steward, a university alumnus who received his BA and PhD. in English in the 1930s, and later donated funds for research on LGBTQ issues. The conferences have been well-received, and a third iteration is in the works. Sexuality Studies is one of five core programs — along with American Indian Studies, Asian American Studies, Disability Studies and Latina/o Studies — constituting Ohio State’s Diversity and Identity Studies Collective (DISCO). Faculty, staff and student affiliates have collaborated on a variety of public events to address pressing contemporary issues, such as bullying and youth suicide, immigration, racial violence, and academia and activism. The Sexuality Studies major provides students with interdisciplinary training in the field. Students take a core introductory course and an LGBTQ course, and have opportunities to shape their remaining course work according to their individual interests. Possible focus areas include counseling; education; health; history; intersecting identities; LGBTQ; sociology; and women. The Sexuality Studies minor is a useful complement for students who are pursuing majors in such fields as comparative studies; education; English; film; history; human development and family science; psychology; social work; and sociology, among others. Students take two core courses and two electives in multiple departments and colleges. The GIS in Sexuality Studies enables graduate students to enhance their regular course of study by analyzing human sexualities in various historical, cultural, intersectional and transnational contexts. The GIS is especially useful for students pursuing academic positions in the humanities and social sciences, as well as careers in health; legal; social work; and educational professions.